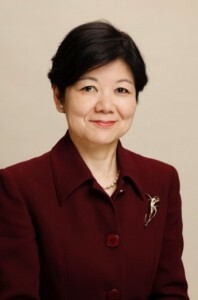 Masako Egawa is Professor, Graduate School of Business Administration, Hitotsubashi University. From 2009 through 2015, she managed the University of Tokyo as the Executive Vice President, and oversaw international affairs, public and external relations, alumni relations, development, industrial relations, and gender equity. From 2001 through 2009, she worked as the Executive Director of the Japan Research Center of the Harvard Graduate School of Business Administration (Harvard Business School). Prior to joining Harvard, Dr. Egawa worked in the investment banking industry for 15 years in New York and Tokyo. Dr. Egawa teaches corporate governance at the University of Tokyo and has taught corporate finance at Keio Business School. She is an independent director of Asahi Glass Co., Ltd., Mitsui Fudosan Co., Ltd., and Tokio Marine Holdings, Inc.
She has served numerous councils including the Tax Council (advisory body for the Prime Minister), the Financial System Council, Council on Economic and Fiscal Policy (expert member), and the Planning Committee for Council for Science, Technology and Innovation, as well as the Global Agenda Council of the World Economic Forum. Currently she serves on the Council on National Research and Development Institutes, the Advisory Board for Evaluation of Policies for the Ministry of Finance, the US-Japan Conference on Culture and Educational Interchange (Culcon), the Board of the Japan Securities Dealers Association, the Asia-Pacific Advisory Board for Harvard Business School, among others. She received a B.A. from the University of Tokyo, an M.B.A. from the Harvard Graduate School of Business Administration, and a Ph.D. in management from Hitotsubashi University.